Many local families lack the resources to provide for their families each month. Summerside Community Church believes in helping our community. We have joined with The Salvation Army Food Bank to help replenish their shelves. We welcome you and your family to participate in this Food Drive. 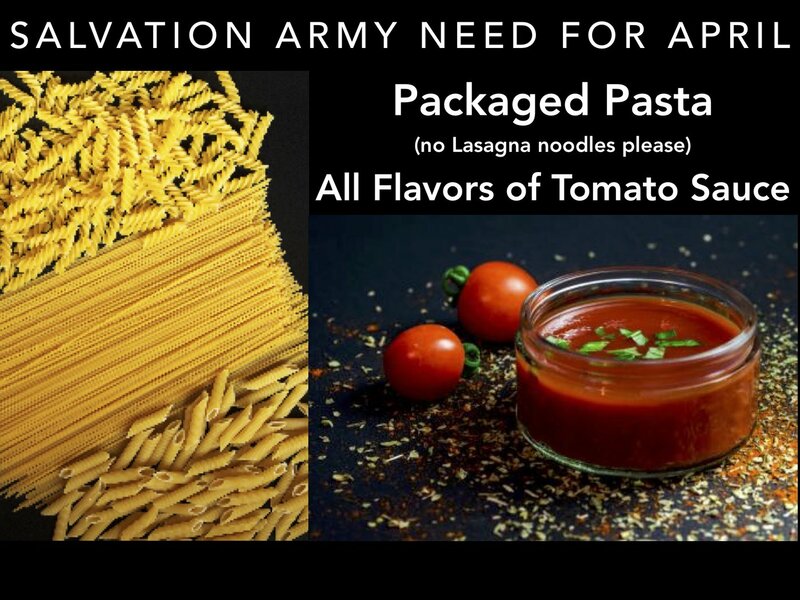 Each month we will focus on a specific need The Salvation Army Food Bank has requested. Small contributions make an impact. Together, we can bless our community. Feel free to find ways to have fun with this by involving the whole family. Please drop your donations off at the designated table in the Cafe area. The Salvation Army exists to share the love of Jesus Christ, meet human needs and be a transforming influence in the communities of our world. For more information on how they serve the community, please click on the link below.